Featuring The Film Introduction Of Gene Autry! TODAY'S FEATURE IS BLOG #4063 - This morning, while watching movies I had recorded on TCM to view later, I saw the first ever movie appearance of Gene Autry! 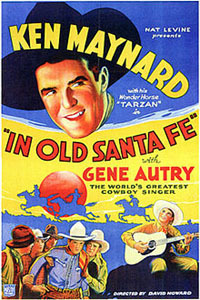 The film was titled 'In Old Santa Fe! Contrary to the film poster shown to the left, Gene did not have any film credit in the original release of the film back in 1934! Indeed, the film's scene with Gene was just a small part of the movie. 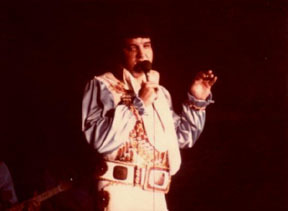 Both he and Smiley Burnette sang a couple of songs during a dance at the dude ranch that the film was filmed at. That was it. Period. You see, the part was considered to be a 'film test' for Gene Autry. It did show Gene had talent and he went on to be filmed in 92 additional films! BTW, this was also the film that George Hayes created his character of being a 'cranky but lovable' sidekick. From then on he was known as 'Gabby' Hayes. Ken Maynard was the 'star' when the film first was released. But when the film was re-released, Gene Autry received top billing at the start of the film. 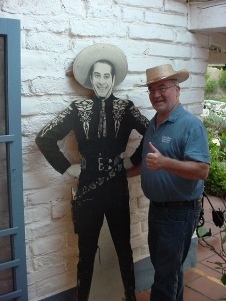 Not a bad start for what Gene Autry was to become... America's Singing Cowboy! You may be asking what this blog has to do with comic books... Well, a few years back I blogged about receiving a consignment of Western comic books. 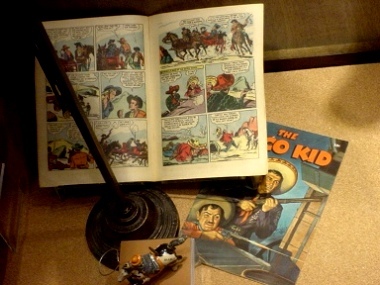 That consignment included several Gene Autry comics, as well as Roy Rogers. 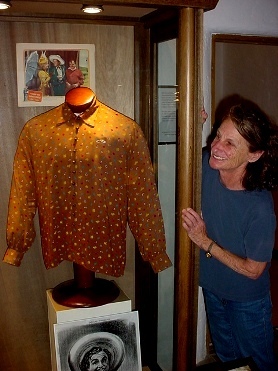 I mentioned the consignment to my mom, Lois E Hamersky, who had fond memories of Gene. He was her favorite cowboy western actor, while Roy Rogers was her sister's favorite. 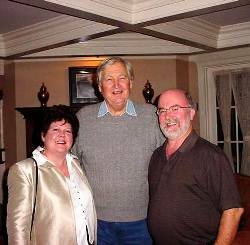 I lived in the Los Angeles area for several years, and watched several old TV Shows and films starring both Gene & Roy. My favorite of the two was Roy Rogers and Trigger. 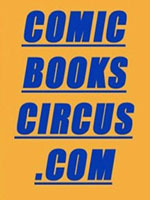 During my years as a comic book dealer, (ComicBooksCircus.com), I have sold multiple westerns. Most of them were sold to collectors in both Germany and Australia, when I was shipping outside of the USA. 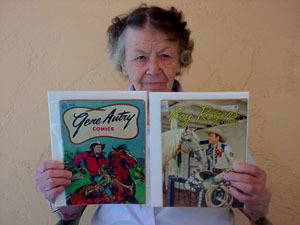 You can see the Gene Autry comics that were published by viewing this link at comics.org. In summary, I enjoyed seeing the film where Gene Autry started back in 1934 in the movies! If TCM shows it again, I'd suggest you DVR it to view later! Whom I Am Thankful For... The 2012 Thanksgiving Post! TODAY'S FEATURE IS BLOG #3748 - For the past several years during this Thanksgiving Holiday Week I have had a blog series titled "Whom I Am Thankful For"... Which usually gets a lot of comments, messages, and emails after I post it. Two years ago I posted it on Thanksgiving Day, as I was busy setting up everything for my 2nd Annual Black Friday Online Event via my then new Facebook Fan Page titled: 'Michael D Hamersky On Comics'. Then last year I was busy setting up my 3rd Annual Black Friday Event, and extending it through Cyber Monday, as seen in this Facebook Event Page titled: 3rd Annual Black Friday - Cyber Monday Event From Michael D Hamersky On Comics! This year, Tina and I went on vacation a week before this year's Thanksgiving, so I am a little behind in getting caught up from being gone a week! I do have the event page for the 4th Annual Black Friday Online Event started, and also have been listing the prizes that are being awarded at this link! 1) Click the 'GOING' button at the event page, (which is easy enough, because you don't walk, run, drive, or fly to a 'virtual online only event' like this one! 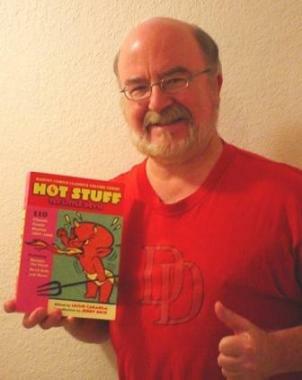 2) Click the 'LIKE' button at the fan page, Michael D Hamersky On Comics! That's it... Click twice and be eligible! Back to this year's person I've selected for my annual Thanksgiving blog post. First... Here are the re-posts from the previously posted archived blogs combined together in one long blog post along with the 2012 entry added at the bottom. Part VII - Tina LoSasso, with whom I celebrated our 11th year of marriage this month! As shown at the photo to the left... we are on quite a journey! 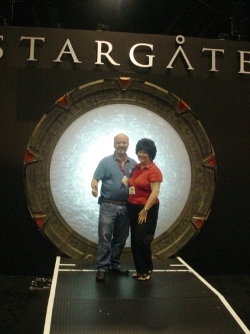 It's like I've stepped into a different portal to a new life being with her! When I was much, much younger, I of course was influenced by the Mickey Mouse Club on TV! Which Annette was first discovered by America and became a major star on this series! 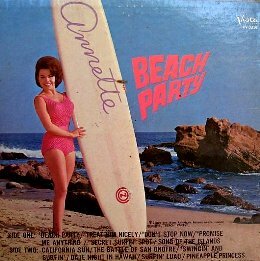 My 'Annette Funicello' collection at one time was stored in five 'perma-pak' boxes, when I was divorced. 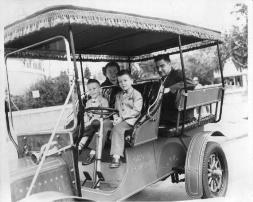 Part X - I probably gave it away when I posted the photo of the El Cortez Hotel at the top right of this blog! And now for this year's blog post... And whom I probably should have mentioned long before this year! 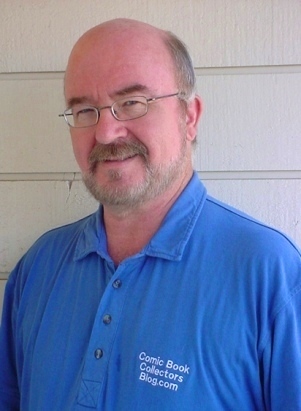 NOTE FROM Michael D Hamersky On Comics: My thanks again to all of YOU reading this blog and our archived blog posts, now at 3,748 total posts in number! I do appreciate your continued reading and support of this Blog! Photo this column: Tina LoSasso & Michael D Hamersky outside of the Regal Cinemas Theaters after watching the Mission Impossible - Ghost Protocol Film! Top Photo Left Column: An early teaser film poster... 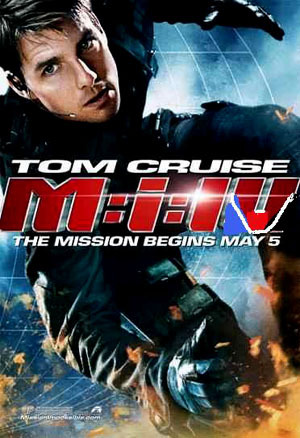 When it was set to be released May 5th, and known as M:I:IV! It's Christmas Night... After we both took in a film on Christmas Day. Which has turned out to be part of our annual celebration of Christmas for us. No matter if we are home like this year, or on a year end vacation last like year! This year, Tina chose the film. Which was actually in the genre of films that she likes to watch this time of year. Since there wasn't any 'James Bond' film out, she chose 'Mission Impossible - Ghost Protocol'. My other choice was 'Sherlock Holmes - A Game of Shadows'. However, after seeing the first of this new series of films, she wasn't interested, even though it had Jude Law and Robert Downey Jr.! The first one was too 'Wild, Wild, West' like for her tastes! Outside of the MI franchise, I haven't enjoyed Tom Cruise in a movie since 'The Firm'. Not a big or even a little Tom Cruise fan. 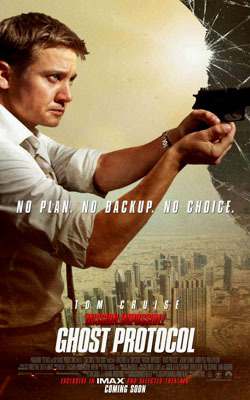 But I never miss the crazy ride of Mission Impossible and 'MI4: Ghost Protocol' delivers this Christmas. These are the darkest days for Ethan's team since Mr. Phelps went bad in the first flick. Yet, this movie isn't bleak. In fact, strangely enough it has several strangely feel-good moments. I attribute this to the involvement of Brad Bird (The Incredible, UP). In particular, the end of the movie felt like the end of the franchise with all the summing up and pseudo happy ending. If you've seen the ads, you know that the President invokes "ghost protocol" disavowing MIF when Ethan Hunt is set up to take the fall for the bombing of the Kremlin. With the US and former Soviet Union at the brink of nuclear war, Ethan and his new team are on the hunt for stolen nuclear launch codes and a mad nuclear strategist who's gone over to the dark side. Why do we fork over our movie dollars to catch every MI movie on the big-screen? Action scenes, in particular, crazy Tom Cruise action scenes. If you're like me, you won't be disappointed. In fact, you'll probably yell out loud in shock at least once. And, possibly, claw your arm rest and be on the edge or your seat (literally) for several minutes as Michael was - technically, he was at the edge of my seat. Tom Cruise scaling the world's tallest building in Dubai is gripping stuff. Tom Cruise on crack, on Oprah's couch, crazy action stuff. Ethan's new team misses the banter of the old team. Simon Pegg as Benji carries the load, here and makes the movie enjoyable. Jeremy Renner (The Hurt Locker) lays an analyst (or is he?) who conveniently answers the mystery of Ethan's wife (or does he?). Your mission, should you choose to accept it: watch this move on the big-screen. Don't think about it too much, just enjoy the crazy action. My rating: 9.0 VERY FINE / NEAR MINT (VF/NM) out of a 10.0 comic book grading scale. First... I knew from the trailers that if we were going to see this film, we would benefit from seeing it on the BIG SCREEN, even though we have a decent sized TV set at home. We have seen all four of the 'new' Mission Impossible films with Tom Cruise, although the first one with Mr. Phelps disappointed me with the twists that came about. But I didn't let that stop me from seeing this film with Tina! Besides the first one was back in 1996! Here is the link to the Wikipedia entry for the series... Be aware that are multiple spoilers in that wiki entry! And yes, there are now plans for a 5th entry in this series... Due to the commercial success (so far) of this film! I'm showing a film poster of actress Paula Patton as Agent Jane Carter for my choice of featured actor. Yes, the other actors did a fine job in the film, but too often the lead female character is too pretty or too demure to have a good onscreen prescence as Paula did. She was believeable as an IMF agent, and looked darn good in evening dress for that scene! Tom Cruise was fine once again as IMF agent Ethan Hunt, as he has been in the previous films. Seeing Josh Holloway as Agent Trevor Hanaway was fun. I enjoyed his role in the 'LOST' TV show series... Which is his tie-in with J.J. Abrams, who is co-producer of this film. Jeremy Renner as William Brandt, IMF Secretary's chief analyst, did a fine job, and I liked the way he was used in the film. But no spoiler alert here! (Addendum: Except that at Christmas Dinner, that we just finished 7:15 PM Sunday night... Tina told me that Jeremy Renner plays Clint Barton / Hawkeye in the upcoming 2012 Avengers film! WoW! That makes me even more excited about the 2012 film, as I can see Jeremy playing Hawkeye now!)! Simon Pegg as Benji Dunn, an IMF technical field agent and part of Hunt's team was used quite effectively. Vladimir Mashkov as Anatoly Sidorov, a Russian intelligence operative following Hunt and his team played a key role in the film. Plus did a fine job of doing it! Léa Seydoux as Sabine Moreau, a French assassin for hire, played a key role in the film, but didn't have much screen time, or so it seemed to me. It was nice seeing Tom Wilkinson as the IMF Secretary again! I like the continuation of that character in the series! The storyline kept me on the edge of my seat in the theater! Seriously! As Tina could tell you! I loved the action scenes of the hotel in Dubai! Great! So were a lot of other scenes in Europe, Dubai, and Mumbai in India! Beautiful photography, and no wasted scenes! Well, until the end of the movie... Which after a very fast paced film from start till that point... It seemed an awkward way of stopping the film. Good thing for the very final scene! Due to the slowness at the end, except for the next to final scene, I'm giving this film a Comic Book Grade of NEAR MINT MINUS (NM-) 9.2 out of a possible 10.0 comic book grading scale. But... This film has to be seen in the theater on the BIG SCREEN to truly appreciate the work that has gone into it! And yes, you may be wondering.. Where is the comic book connection to this film? Well, there isn't a 'direct tie-in', just that I enjoyed reading and collecting the Mission Impossible comics books that were printed years ago when the MI TV Show was on! 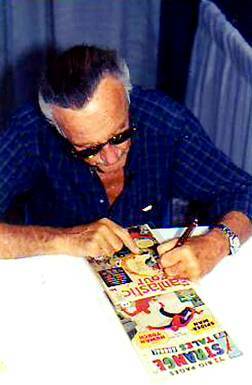 Here's a link to those via the GCD (Grand Comics Database) web site. Please note, there were five issues published by Dell Comics from May of 1967 - October of 1969. Plus, if you are okay with knowing too much about the film before going, to see what else in it, you could read the stand alone Wikipedia entry for this 4th Mission Impossible film. But if not, the whole entry is a spoiler alert!! Hope you all had as much fun on Christmas Day as we did going to the movies! ~Michael D Hamersky On Comics! My thanks again to all of YOU reading this blog and our archived blog posts, now at 3,571 total posts in number! I do appreciate your continued reading and support of this Blog! BTW, You can 'follow' this blog by clicking the 'Follow' Button at this NetworkedBlogs app link! We currently have over 2,654 'Followers'! Thanks to ALL of YOU that have already clicked that button! And for those of YOU that haven't yet... I would appreciate it if YOU would!!! 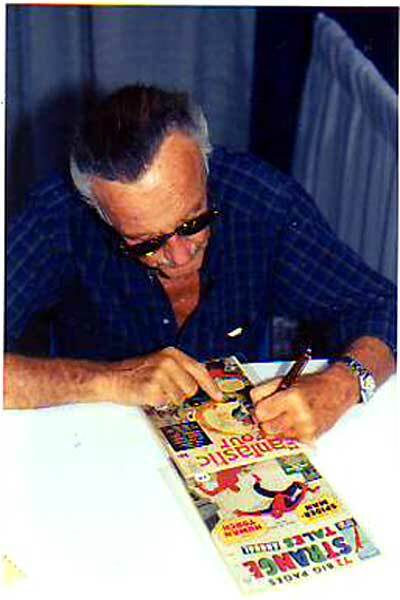 Note: My online 'Local' Comic Book Shop (LCBS), carries many different genres of comics, magazines, graphic novels, and comic con promotional items. Possibly even copies of the item(s) that was mentioned here today...! Web Page Note: This blog post is written for the IE Browser standards. Chrome, Safari, Netscape, Firefox and the other browsers serve the page up differently, sorry about that! The screen display resolution is best seen at the setting of 1024 x 768 on your laptop or desktop computer. Note: Your computer's resoulution may be set differently, but the above resolution is the most commonly used resolution at the time of this blog post. 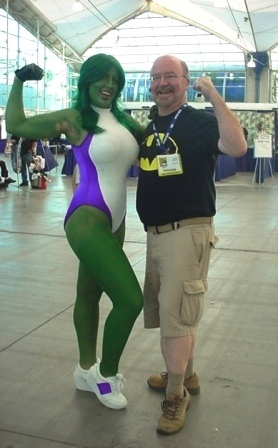 Comics Creators: If you are breaking into, or already work in the comic book industry or other pop culture productions, you are welcome to email or mail us press releases, news items, and updates that you feel would be of interest to our blog readers. Including YOUR own works! Above Topmost Photo: The Leo Carrillo Film Marquee! 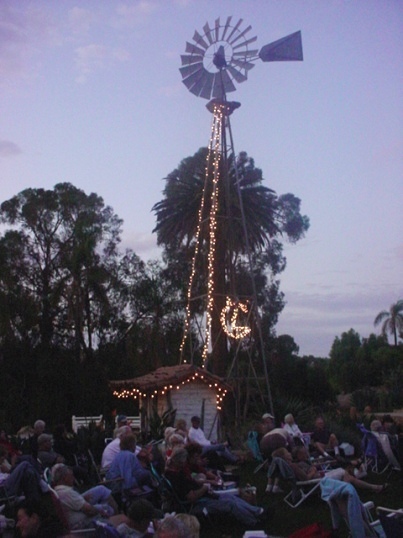 Above Photo: From the 2009 Leo Carrillo Film Festival - See an episode of The Cisco Kid first, and then a film that Leo Carrillo was featured in... Either a starring role or supporting role! Last Friday night we missed the Fund Raiser for the 2011 Leo Carrillo Film Festival in Carlsbad, California, as we were attending the final concert of the 2011 TGIF Jazz In The Park Series, also in Carlsbad. This Friday night, August 26th is the first of the free films being shown for this season, which we are planning on attending. Here is the link to the two page flyer with instructions on how to get there, and then on the second page is the listing of all the films to be shown this season. You'll notice that the 2011 Season is only five (5) Friday nights this year... But there are several good films to be shown, with an episode of 'The Cisco Kid' TV series shown prior to the main feature. Plus, you can bring your own dinner & drinks, or buy from the food shack on the premises, which is what we are going to do the first night of the Film Festival. I have blogged about Leo Carrillo and / or the Leo Carrillo Film Festival many times through the years. Here is the link to all of those blogs or re-posts. For those of you that are new to this Blog of mine, (ComicBookCollectorsBlog.com), you may be wondering what this topic has to do with comics... Well, here's the link to where you can see all of the covers to The Cisco Kid comic books that Leo starred in. Several have photo covers! Would you believe that there are forty (40) of them to collect?! Plus several of the films that are shown during the Film Festivals have comic books that were published, but you'll have the fun of searching those out for yourself, at the same web site! 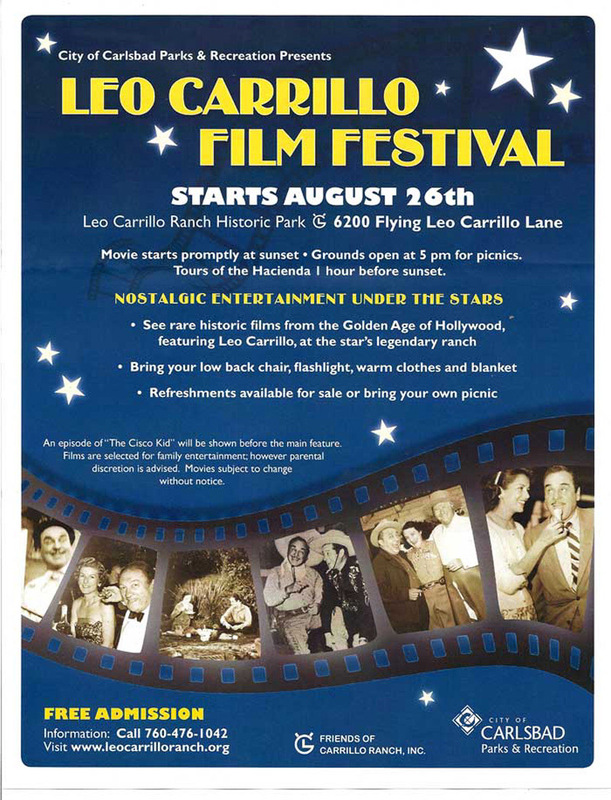 Hope that you can make it to one of those nights during this five night 2011 Leo Carrillo Film Festival! If not... 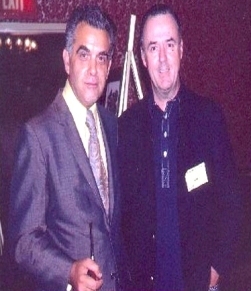 I'm sure that I will be posting photos from each night that we attend in a special photo album at my Facebook Fan Page. Night #1's photos will be shown in this album. 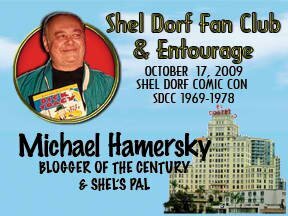 ~Michael D Hamersky - who is asking you for your vote in the current voting going on over at The Shel Dorf Awards web site. I was nominated for 'Comic Blogger of the Year' on Monday, August 8th! While being honored to be nominated, I'd also like to win! The competition has some other good nominees for the same category I was nominated for, so I'm asking for your help on this! Voting ends on September 4th! If you have enjoyed this blog or any of the others in the now over 3,482 blogs in this series of mine, I'd appreciate your vote! Here is a direct link to the voting page. 'Comic Blogger of the Year' is the category, and 'Michael Hamersky On Comics' is the name I'm listed as to vote for. Here is a link to blog #3481, where I went more into depth on this topic. My thanks to any of you that take the time to vote for me! My thanks again to all of YOU reading this blog and our archived blog posts, now at 3,492 total posts in number! I do appreciate your continued reading and support of this Blog! BTW, You can 'follow' this blog by clicking the 'Follow' Button at this NetworkedBlogs app link! We currently have over 2,530 'Followers'! Thanks to ALL of YOU that have already clicked that button! The screen display resolution is best seen at the setting of 1024 x 768 on your laptop or desktop computer. Note: As of Monday, June 27th, 2011, I'll be using my new laptop, where the default resolution is 'higher', so there may be some temporary glitches until I am used to the new resolution. Top Left Photo: The front cover to the autobiography "Hound Dog" by Jerry Leiber & Mike Stoller & David Ritz Copyright © 2009 by Jerry Leiber and Mike Stoller. Above Top Photo: The front cover to the UK Elvis Presley record... 'Elvis Presley Sings Leiber & Stoller' from 1980, one of the LPs released after Elvis' death. The photo on the cover was taken in 1957 at the MGM Studio! 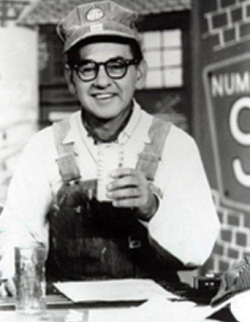 Jerry was born April 25th of 1933, so he was 78 years old. Jerry started writing music together with Mike in Los Angeles in 1950, so he was pretty darn young at the time. Mike was the composer, and Jerry the lyricist. You can find at lot more details about the duo at this Wikipedia link. For you younger readers, who didn't grow up with the duo's songs being sung by the likes of The Coasters, The Drifters, Jay and the Americans, The Exciters, and Peggy Lee, Jerry & Mike were serious song makers for many years, before going into the production side. Their last major hit was for Stealer's Wheel in 1972, with 'Stuck In The Middle With You'. So yeah, I would have to agree with those selections. 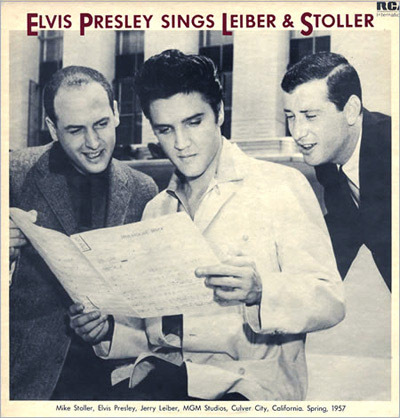 As for Leiber and Stoller's works... They do continue on in pop culture. One of the more recent episodes of the TV show 'American Idol' had a 'Leiber and Stoller' Night on May 11th of 2011. 1994 – A star placed on the Hollywood Walk of Fame in front of 7083 Hollywood Blvd. But as Paul Shaffer said..."Leiber and Stoller? There would be no 'Rock and Roll' without them!". 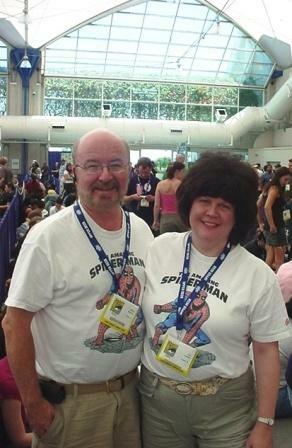 Note: There haven't been any comic books that were based on this duo's songs that I am aware of. 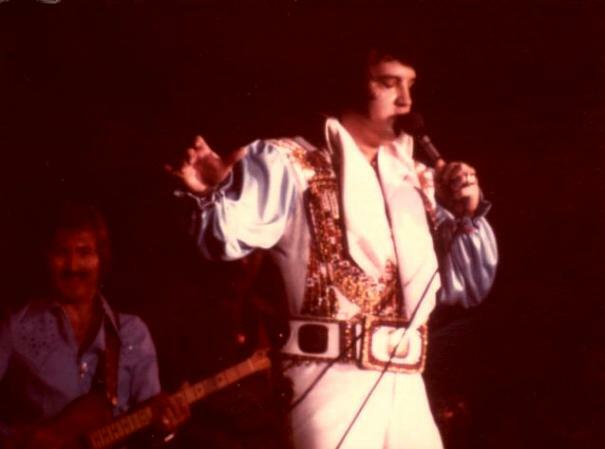 However there have been several Elvis Presely comics and a couple of graphic novels printed. Should there have been any printed on Leiber and Stoller songs I'll do an addendum to this blog. 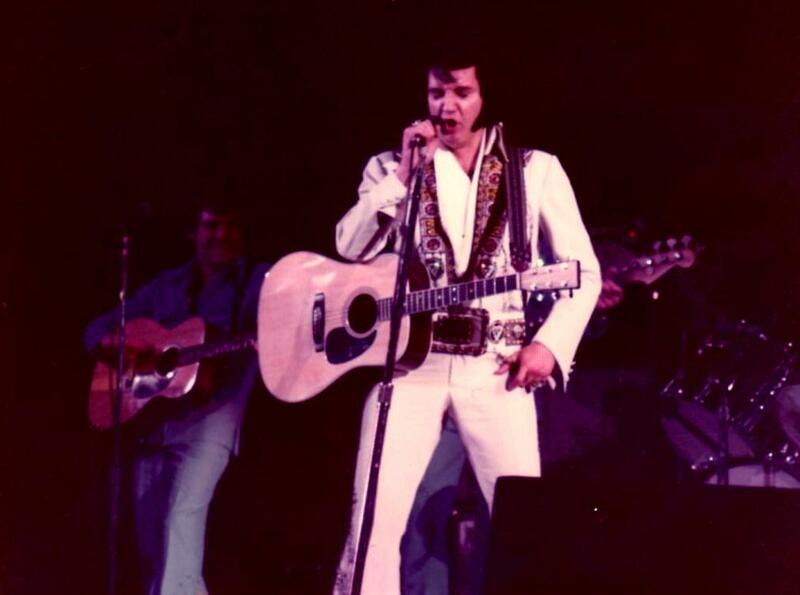 I never met either of this duo in 'real life', but enjoyed many of their songs in 'reel life' on the screen in Elvis movies. My thanks to both of them for years of enjoyment. ...And my condolences to Jerry's family and friends. My thanks again to all of YOU reading this blog and our archived blog posts, now at 3,491 total posts in number! I do appreciate your continued reading and support of this Blog! BTW, You can 'follow' this blog by clicking the 'Follow' Button at this NetworkedBlogs app link! We currently have over 2,529 'Followers'! Thanks to ALL of YOU that have already clicked that button!